While Finnish metal bands have a huge following abroad, punk has also produced its own fair share of international cult acts over the last several decades. We can see Kaaos, Appendix, Lama, Terveet Kädet, Riistetyt, Lapinpolthajat, Pää Kii, and so many to mention here. Not to forget Juggling Jugulars as well. Does somebody say that anarco-punk is dead? Well, maybe in the old sense, but Juggling Jugulars brings it back with more melodies and feelings. 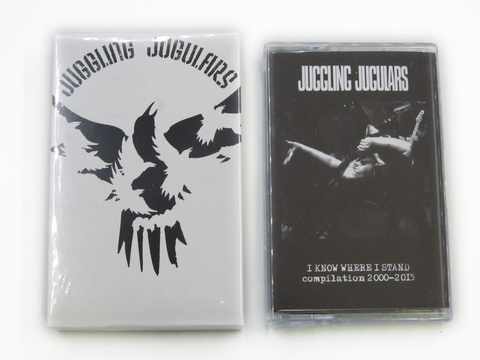 Juggling Jugulars, a socially-conscious band, yet displaying a positive mental attitude of such bands as Seein&apos; Red and Nation on Fire or Minor Threat and 7 Seconds in the classic sense. Two vocalists alternate the angry lyrics, which are almost all sung in perfect English, with simply, yet very expressive lyrics. 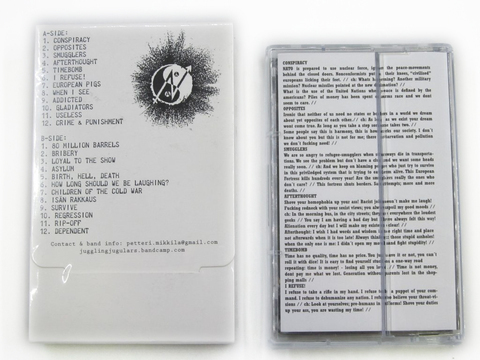 Lyrically, they&apos;re political, but it&apos;s more from a personal standpoint, with a over all message or self-empowerment. All band members are active with direct action, antifa movement and anarchist organization. Check their documentary, Juggling Jugulars Punk-elinkautinen. 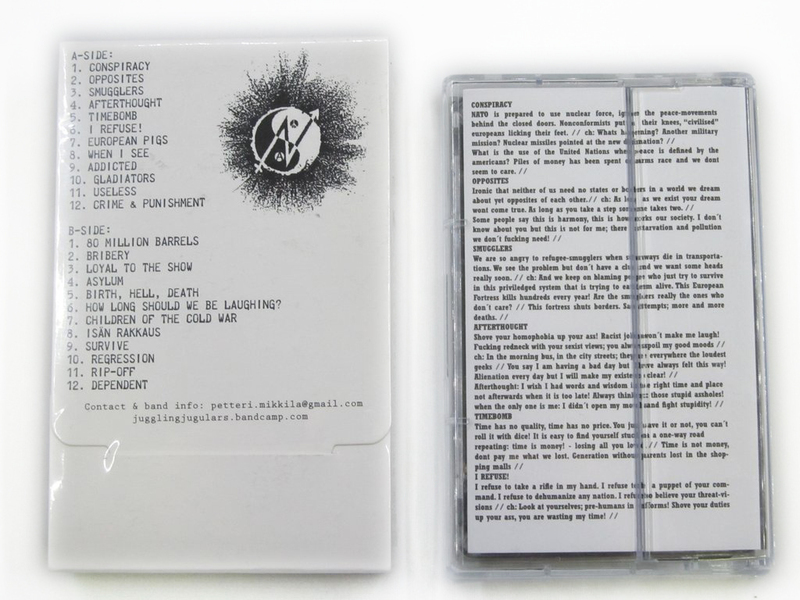 This cassette come out with 24 anarcho-punk-rock songs, arigato pak, thick inner sleeve with full of lyrics, and free love from Finland!